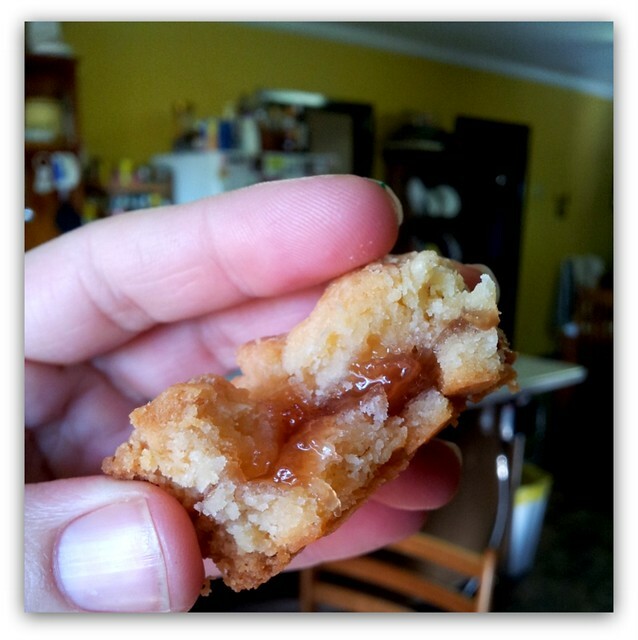 My latest sweet butter-y creation is this shortbread jam filled slice - YUM-MO!!! This slice has the crunchiest, melt in your mouth texture that won't let you stop at just 1 piece - it must be that gooey, sweet, fruity centre that keeps me coming back for piece after piece - no, that's the pregnancy, LOL!!! 1 cup of butter (I use salt that is salted for this recipe, I like the flavour it gives), 2 1/2 cups of plain flour, 1 cup of icing sugar, about 1/2 a jar of home-made jam (I used nectarine recipe here). Process all ingredients, except that jam, in a food processor until a dough is formed this should only take about a minute (it will start to roll around like a ball in the bowl when it's ready). Press half of the mixture into a standard slice tray, spread the jam over the top. You are now going to crumble the remaining dough mixture over the top of the jam. What's you're favourite 'butter' recipe? Are you a 'sweet' or 'savoury' kind a girl??? I love butter too, and I'm not pregnant, lol. It is so darn good on fresh bread from the oven. I use to make sourdough bread and that will pack on the pounds if you don't watch out. 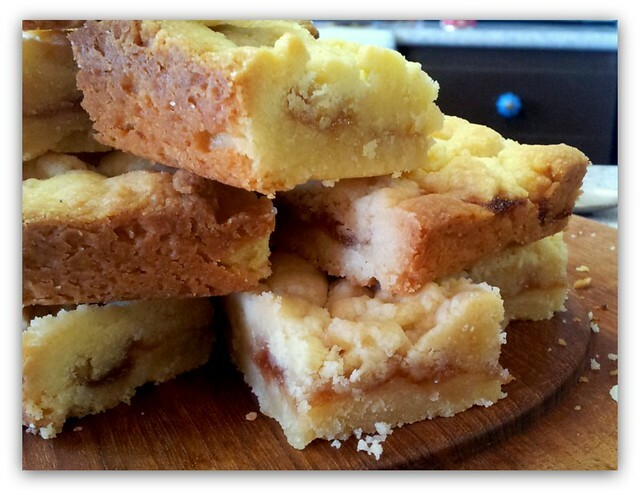 Thank you for sharing the recipe, it does look yummy. Oh, God that looks good! But do remember, A moment on the lips, a lifetime on the hips! Lol! But your forgiven because you are growing a baby. Oh, dear - another recipe to print out and try - my recipe file is bursting! Butter is my all time fav. You can keep your chocolate and your chips but if it has butter I can't resist. You and me both! I love butter. I have tried all the replacements but they just don't match up. Your recipe looks delicious and I am definitely a "sweet" gal. LOL! Yummo. Any recipe with heaps of butter is always a winner. Melting Moments biscuits use a similar recipe and a whole block of butter. For someone who goes to the local Weight Watchers meeting each week - I have just committed the cardinal sin! I made the Shortbread Jam Slice with homemade mulberry jam! Not looking forward to the scales this week! Oh yum Jodie...this one is going on my 'to try' list!